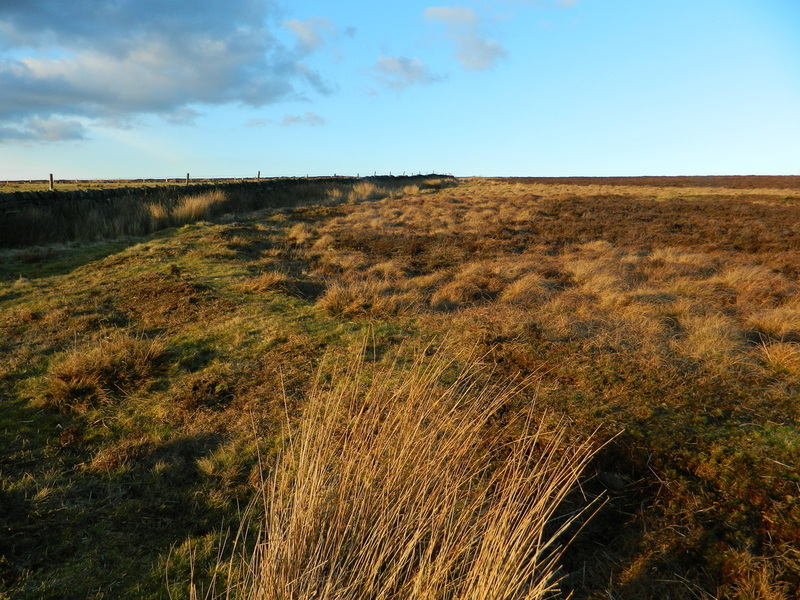 A ringcairn around 25m in diameter with a well preserved bank that can easily be made out despite a dense covering of heather, located just off Hathersage Road by Parsons House outdoor pursuits centre. Head up the old unsurfaced road besides Parsons house, go through the metal gate and enter the moor about 250 metres along it, it’s by the second wall on the right. Follow the post and wire fence to the end and turn right, follow the wall for around 70 metres down hill and you’ll be able to see the cairn’s bank before you in the heather. There’s no excavation taken place that I know of, but the site is well known and mentioned in an old report with a map I found here, scroll down to find the text by the map. 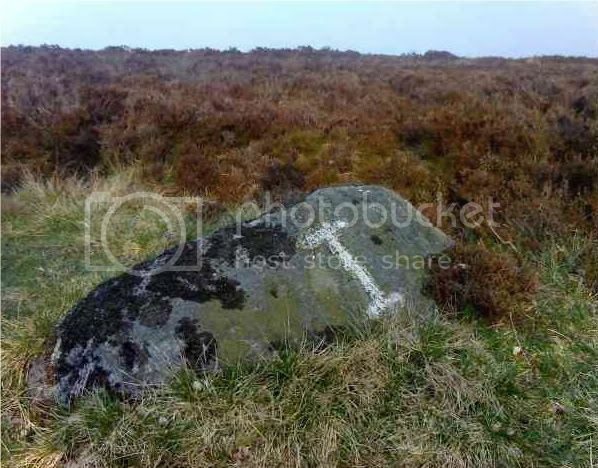 One of the identifying features of the ringcairn is a stone marked with a letter "I" located on the Northern bank. Mention should also be made of a smaller ringcairn adjoining this one, it's found just south of the larger circle. 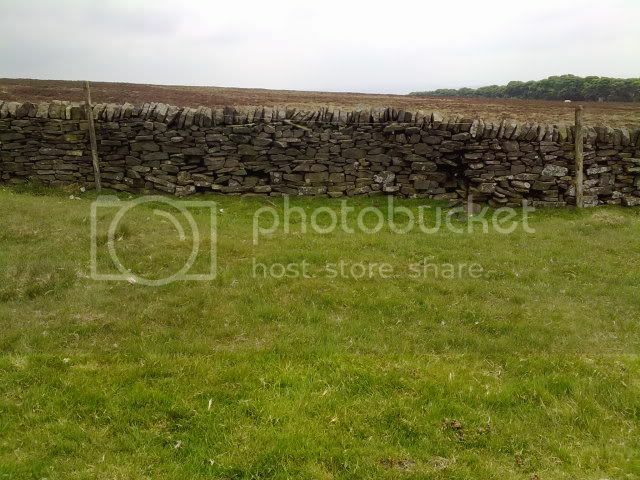 Although very badly damaged by the wall and a sunken track that runs through it, it is visible, the best preserved section of it is just over the wall in the grassy field. A section of the bank. A section of the bank of Ciceley Low 2.